RILE applications cover all handling tasks. As well as loading and unloading parts and products into and out of the various machines, we are happy to undertake the concatenation of your machines and the palletizing of your products. This means that you receive an integral production island from a single source. of the location of your parts, automated via vision systems and robots. We also provide conveyors with or without work piece carriers, rack storage systems, disk storage systems, and drawer and pallet systems. Grabber systems enable the handling of different parts. The grabber and work piece carriers are designed in accordance with the degree of precision required on the machine. Completed products/parts consisting of diverse work steps are designed at RILE in the form of automated production islands or transfer systems. Additional tasks such as washing, blasting, and burring are included, as are quality assurance measures. 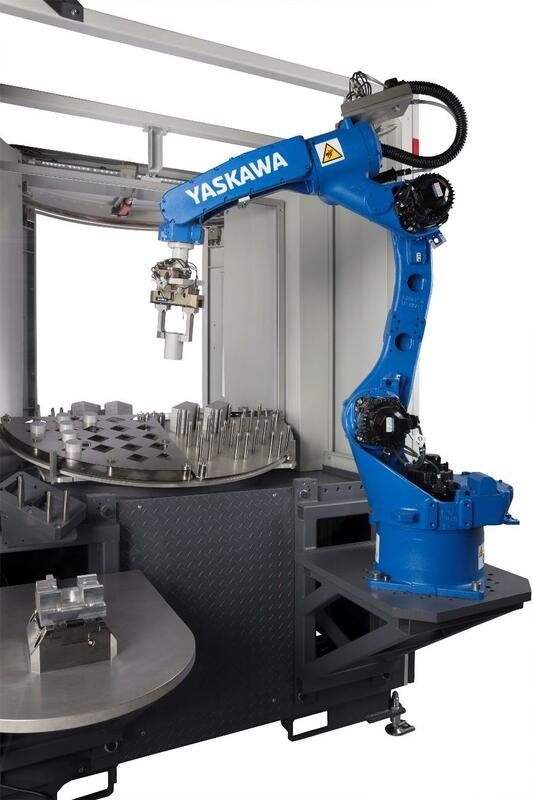 Automated machining/product manufacturing processes are rounded off by depalletizing and palletizing processes. This means that you can transport your batches to another processing line with the parts already positioned in the correct manner for the next step. We provide palletizing and depalletizing solutions for the manufacturing industries and for the food, tobacco, and drink sectors.